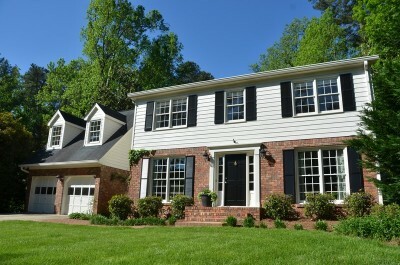 4 bedroom, 2 1/2 bath brick traditional in Mill Glen. Walk to Dunwoody Village and Austin Elementary School district. As you enter, you will find dining room on your left. On the right, spacious formal living room, perfect for office. Huge sunroom includes built-in bookcases. Kitchen features granite countertops, stainless steel appliances, breakfast bar and opens to family room with fireplace. Main level also includes harwood floors, powder room and two car garage. Upstairs you will find master bedroom with her/her closets and private bath. There are three guest bedrooms and full bath. All bedrooms have hardwood floors. Upstairs also includes laundry room and huge media room/bonus room. Huge deck and basketball court/sport court!